Friends of the monarchy, Clan Mackenzie was a force to be reckoned with in the north of Scotland. Their allegiance to royalty saw them rewarded with great swathes of territory across Ross-shire, and their descendants would eventually become British aristocrats. Recently studies have concluded Clan Mackenzie was started by 11th century Celtic chief, Gilleoin na h’Airde, who was a direct descendent from the ancient High Kings of Ireland, and also that Clan Mackenzie shares its ancestry with Clan Matheson and Clan Anrias. The name Mackenzie is believed to have derived from the Gaelic name MacCoinneach (son of Kenneth) which translates as ‘son of the fair bright one’. The earliest recorded chief of Clan Mackenzie is Alexander Mackenzie, the 6th Baron of Kintail who lived in the 15th century. He rose to power as a supporter of the Crown and against the formidable Clan MacDonald. Clan Mackenzie’s territory stretched from their origins in Kintail, to eventually dominate the Ross-shire landscape and the Isle of Lewis. At the height of their power, Clan Mackenzie were one of the most influential clans in the whole of Scotland. As royal agents to generations of Scottish kings, many viewed Clan Mackenzie as the monarchy’s strong men in the north. Essentially, the government in Edinburgh used Clan Mackenzie to keep the rowdy Highlanders up north in line. A Mackenzie clansmen. Photo by R. R. Mclan / Public Domain. Featuring dashing blues and greens, with flashes of red or purple and white, the Mackenzie Tartan is the regimental tartan of the Seaforth Highlanders raised by the Earl of Seaforth in 1778. 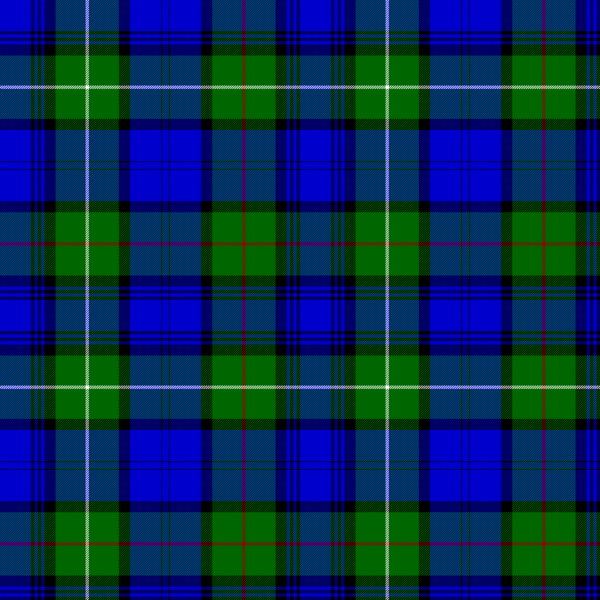 In total there are four tartans associated with the Mackenzie name: the Mackenzie tartan (depicted in the image), the modern Mackenzie dress, the Mackenzie hunting, and the Mackenzie Millenium. The clan’s crest was a symbol of allegiance, used by clan members to show allegiance to their clan chief. The Clan Mackenzie crest features a mountain in flames, and the motto ‘I shine not burn’. The clan’s other motto ‘help the king’ gives a firm nod to their dedication to the monarchy. The Mackenzies certainly weren’t shy of a little conflict. In 1314, five hundred Mackenzies fought at the famous Battle of Bannockburn where the English were defeated. Later in the 15th century, the Mackenzies clashed with the neighbouring MacDonalds on a number of occasions. The 1491 Battle of Blar Na Pairce saw a bloody battle between the Mackenzies and the MacDonalds, which was followed by the Raid on Ross where the Clan Mackenzie fought with several clans including the Clan MacDonald of Lochalsh, Clan MacDonald of Clanranald, and Clan Cameron. Then in 1497 Clan MacDonald invaded Ross-shire, only to be defeated and driven away by Clan Mackenzie in the Battle of Drumchatt. Throughout the 16th century, Clan Mackenzie fought valiantly against the English, most notably at the 1513 Battle of Flodden where they suffered heavy losses. They also clashed with Clan Munro over territory. Clan Mackenzie pledged their allegiance to Mary, Queen of Scots and fought against her half-brother James Stewart at the Battle of Langside in 1568. By the start of the 17th century, Clan Mackenzie territory had expanded significantly. With the backing of the government and monarchy, Chief Colin MacKenzie invaded the Isle of Lewis with a 700-strong army and a ruthless battle with the MacLeods ensued. In the 18th century, the Jacobite risings saw Clan Mackenzie divided, with the chief Kenneth Mackenzie, Lord Fortrose, fight against the rebels, and a large portion of the clan backing George Mackenzie, the 3rd Earl of Cromartie, who was himself a Jacobite. A number of famous regiments were borne of Clan Mackenzie, including the Highland Light Infantry, the Seaforth Highlanders and the Ross-shire Buffs. Clan Mackenzie’s dedication to Scotland’s monarchy paid off. At the height of their power, the Mackenzie’s held the single largest area of land of all the Scottish clans, stretching from the east coast of Scotland to the Hebrides in the west. On the shores of Loch Duich sits Eilean Donan Castle, the reported birthplace of Clan Mackenzie and where it all began in the late 13th century. The now world-famous castle has provided the setting for films including Highlander, The Wickerman and James Bond. The modern day home of Clan Mackenzie, is Castle Leod in the quaint Victorian spa village of Strathpeffer. The grade A listed building is well preserved and also open to the public to explore. Redcastle in the Black Isle sits derelict today, but it was once a royal castle visited by Mary, Queen of Scots in 1562. The castle and surrounding land was gifted to Rory Mor Mackenzie by Keith of Delny, and remained a residence of the Mackenzie clan for several centuries. Kilcoy Castle is also on the Black Isle and, although almost reaching a stage of ruin by the late 1800s, the castle was restored and nowadays the castle’s gardens are frequently open to the public. Peering over the edge of the Moray Firth, you’ll discover Clan Mackenzie’s Ballone Castle. The castle came into the possession of Clan Mackenzie in 1623, but was neglected for quite some time, until the 1990s when its present owners set about restoring the building and interiors. Legend has it that Bonnie Prince Charlie took refuge in Clan Mackenzie’s Kinkell Castle following the Battle of Culloden in 1745. More recently the castle was home to the late contemporary artist Gerald Laing, who restored the residence and filled it with beautiful modern works of art. Francis Mackenzie Humberston was the last in the direct male line of Mackenzie chiefs and he died in 1815. His passing was mysteriously foretold two centuries prior by the Brahan Seer who predicted the Mackenzie line would end with the death of deaf-mute. When Francis died, he had lost both his sight and hearing to the scarlet fever which also took his life. Unfortunately, the Seer himself met a grisly end when he informed Lady Seaforth he had perceived her husband was having an affair with a beautiful French woman. The Lady ordered that the mystic be burned to death in a barrel of tar. Yet the Mackenzie name did not die along with Francis Mackenzie Humberston. In 1979, the 4th Earl of Cromartie whose mother was a distant relative of the clan, changed his name to Mackenzie and now his son John Ruaridh Grant Mackenzie is the present day clan chief. Perhaps the most famous of all Mackenzies is Scottish writer Sir Compton Mackenzie. Born in 1833 in West Hartlepool, England, the Enligsh-born Scottish writer is widely known for being the author of popular novels such as Whisky Galore! and Monarch of the Glen. He was also one of the co-founders of the Scottish National Party, in 1928, and he was knighted in 1952. Photo by Alvin Langdon Coburn / Public Domain. 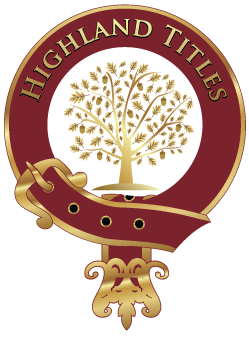 As of October 2018, there are over 450 plots in the Highland Titles Land Register under the Mackenzie name.